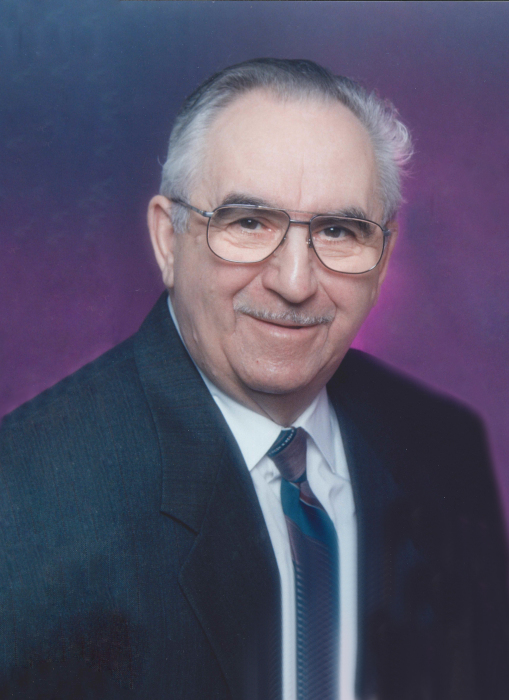 Entered into his heavenly rest on Monday, January 28, 2019 at Third Crossing Manor, Gladstone, MB at the age of 88 years. He is lovingly remembered by his wife of 68 years, Anne (Zacharias); two sons Earl (Sheryl), Kim Doell of Calgary, Chris (Michele) Doell, Carrington and Carter of Penticton; two daughters Eileen (Bob) Clarke of Gladstone, Rob Clarke and Kingston, Nancy Karpinsky of Winnipeg, Julie (Clint) Sigurdson, Brock and Rhett of MacGregor; Brad (Joanne) Doell of Gladstone, Derek and Lauren of Medicine Hat, Jolene (Stephen) Ross, Peyton and Jase of Portage la Prairie, Victoria and Cameron Poschenreider of Elie: Edie (Reg) Dodd, Jenn and Chrisy Dodd-Harms, Fred and Krista Dodd, Kiegen, Talon and Marissa all of Grande Prairie. He is also survived by two sisters; Trudy Enns of Altona and Audrey Doell of Gretna; one brother Allen Doell of Gladstone, sister-in-law and brother-in-law Jake and Trudy Loewen of Armstrong, BC., as well as many nieces and nephews. He will be missed by his special friend Bob Olson. He was predeceased by his parents Jake & Mary Doell; an infant brother Dugal; his sister Mary and husband Aaron Toews; brother in law Nick Enns; sister in law Dorothy Doell; mother and father in law Jake & Margaret Zacharias; brothers and sisters in law Jake & Elizabeth Zacharias (Anne), Pete & Kay Zacharias (Norma), Helen & Ernie Neustaeter, Margaret & Pete Dyck; as well as several nieces and nephews. Dad worked hard and became a man at a very young age, helping his dad on the family farm as well as custom work for many neighbours. He started his employment with Gladstone Co-op in 1952 and this was his life long career. He valued all his customers of 37 years as petroleum truck driver and talked often of the many families he served; he never forgot names and his experiences with them. He also worked briefly for Bob Thomson/Shell Oil but returned to the Co-op after 2 years. Although he enjoyed his job as a truck driver his heart was always with farming and he was so proud that Brad and Joanne still own the Doell family farm. He often helped with the cattle, hauling bales or doing fall work, those were happy days for him. Although he always worked extra jobs to earn money for family vacations he also enjoyed other activities. He served his community as a Town councillor for many years and volunteered at the skating rink. In his retirement years dad and mom volunteered for MCC and the Gleaners at Oliver, BC. They enjoyed meeting many new friends and spending time with their brothers and sisters. Jake was a man of strength and integrity and was an inspiration to many until his final day. His faith in God was his foundation in life and he did not hesitate to share his Christian beliefs with many people who were struggling with their own lives without judgement. He was a lifelong member of the Gladstone Christian Fellowship Church. Jake and Anne were married July 16, 1950 in the Gladstone Bergthaler Church and they were actively involved in the construction of both new churches in town. Dad loved his family and always looked forward to visits and phone calls and prayed for us daily. His genuine smile and positive attitude did not waver even throughout his many health issues and life changes he endured. He made our lives easier by always making the right decision at the right time for his health care needs.